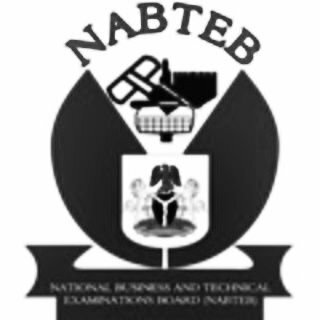 FREE DOWNLOAD: The National Business and Technical Examinations Board (NABTEB) Agricultural Science Syllabus Now Available for Download in PDF Online. The National Business and Technical Examinations Board (NABTEB) has uploaded the Agricultural Science Syllabus for prospective students. The content of this syllabus is divided into nine sections on the conceptual framework on which the teaching syllabus is organized. The sections include; Basic concepts, Agricultural Ecology, Agricultural Engineering and Mechanization, Crop Production, Forestry, Ornamental Plants, Crop Protection, Animal Production and Agricultural Economics and Extension. a) Impart in the candidates a functional knowledge and practical skills in Agriculture. b) Prepare candidates for further studies in Agriculture. c) Prepare candidates for occupation in Agriculture. d) Stimulate and sustain candidates' interest in Agriculture. e) Enable the candidates to explore the rich Agricultural resources of Nigeria environment. be taken. The total marks for both papers is 200 marks. This paper consist of two sections; A and B. Section B consists of SEVEN(7) Essay questions drawn from nin esections of the syllabus. Candidates are expected to answer five questions in 1 hour 40 minutes and the total is 90 marks. This shall be a 2 hour practical test, either the actual practical or alternative to practical. consist of four (4) compulsory questions, for a total of 60marks. The actual practical shall be taken by schools during May/June Examinations WHILE the alternative to practical shall be taken by private candidates during Nov/Dec Examinations.